Mix and match railing components to create a unique look that is all your own. Freedom aluminum, vinyl, deck components are engineered to work together for easy customization. Add on a deck board topper or incorporate lighting features to create a truly customized railing project. Freedom railing is made for mixing and matching, allowing you to create a solution that fits your personal style and delivers your desired aesthetic. Start with a base material and customize from there. Add wood or composite deck board toppers for a functional flat top rail perfect for entertaining. Incorporate elegant glass slats or add privacy with our mixed material railing, available in a variety of complementary colors. Whatever you envision for your ideal outdoor space, Freedom can help bring it to life. Can’t decide which material or railing style you like best? With Freedom, you don’t have to choose just one. 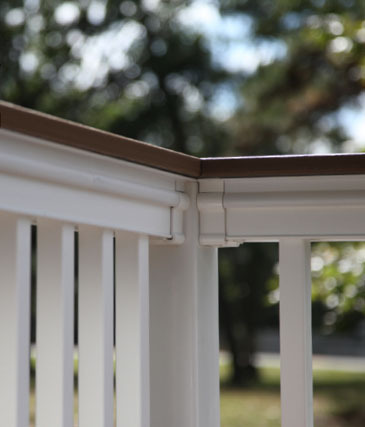 Combine vinyl posts with aluminum railing for a classic, yet modern look. 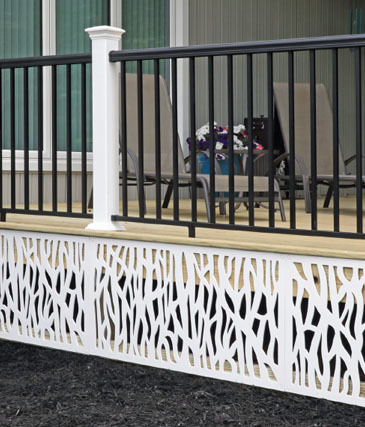 Add privacy to your deck or patio with our Artisan Mixed Material Railing that couples aluminum frames with vinyl infills, available in a variety of colors. Incorporate lighting features that will allow you to enjoy your outdoor space no matter the time of day. The options are truly limitless. 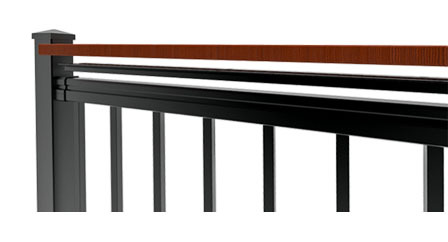 Add a deck board topper to your Prescot vinyl rail to create a flat surface, perfect for entertaining. 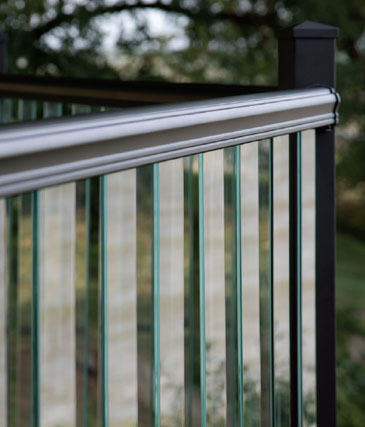 Accent your black aluminum rail with vinyl posts for a subtle yet sophisticated look. Sleek black aluminum railing with elegant glass infills delivers an unobstructed view.